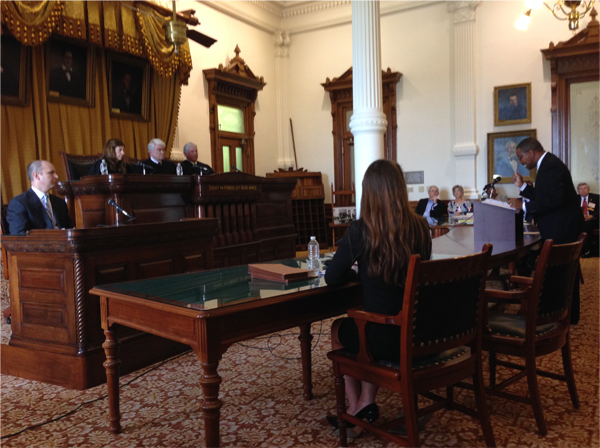 In June 2014, the Fellows presented the reenactment of the oral argument from Sweatt v. Painter, 339 U.S. 629 (1950). A standing-room-only crowd was on hand in the original Supreme Court Courtroom in the Capitol to watch as the Fellows held a live oral argument reenactment and discussion of Sweatt. Former Texas Supreme Court Chief Justice Tom Phillips gave an overview of the case before the reenactment and after the argument discussed the impacts of the case. Former Texas Supreme Court Justice Dale Wainwright argued on behalf of Sweatt and the former Fort Worth Court of Appeals Justice David Keltner argued on behalf of the State.